Email marketing is a very cost effective way of communicating with your database and although it can’t solve all your problems, it can be an integral part of your digital marketing strategy and one that sits at the heart of your client communications. Used well, email marketing can create a quantifiable return on investment, enable you to track and analyse customer behaviour, test responses to new products or messages, help to manage events and so much more. 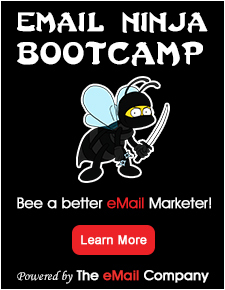 Email marketing is where it all started for Jarrang. We have been creating email marketing strategies and delivering effective campaigns on behalf of clients all over the world for the last ten years. Our aim is to remove your email marketing headaches and implement a coherent strategy that incorporates great design, punchy content, and reliable delivery, all as part of a fast, efficient and effective service. For those who need it, we also offer a self-service email marketing option for those businesses that have the in-house capacity, but need the support of an experienced email marketing provider for strategic guidance, advanced features or development. By using Jarrang for your email marketing you will benefit from our vast experience with many hundreds of clients, thousands of campaigns and millions of emails. We always push the boundaries of what’s possible to ensure you get the best possible return on investment. We can also offer advice on where you could maximise your returns through integrating your email marketing campaigns with other online services such as Social Media and Content Creation. Talk to us about managing your email marketing campaigns today, call Jarrang on 0845 458 0875 or contact us online.